Flashback: Did pressure from Oregon Governor Brown lead to killing of LaVoy Finicum? Home /latest_news, Property Rights/Flashback: Did pressure from Oregon Governor Brown lead to killing of LaVoy Finicum? Brown’s appeal to Loretta Lynch for a ‘swift resolution’ to the matter was a rhetorical grenade thrown into the middle of an otherwise peaceful–though sometimes tense–situation. It’s ironic that ‘swift’ federal action was requested of the United States chief law-enforcement officer simply because a couple dozen peaceful ranchers were camped out at an abandoned federal structure on public lands. The leftist mantra, ‘keep public lands public’ apparently doesn’t apply when ranchers and property rights are involved. Families, friends and supporters of the ranchers who arrived at the Malheur Refuge on January 2 of 2016 to protest the imprisonment of Oregon ranchers Dwight and Steven Hammond on federal terrorism charges, could not have predicted the vicious and violent reactions by mainstream media and state and federal government agents. But as they were mischaracterized by mainstream media as ‘domestic terrorists’ and ‘armed militants,’ and as they and their families were assaulted by a barrage of social media smears, leftist politicians, including those in the Obama Administration, grew increasingly uncomfortable with the coverage given to the Malheur protesters. The anger and frustration of the Left culminated on January 26, 2016 with the killing of LaVoy Finicum, the quiet, gentle, freedom-fighter who had kept his patient vigil under the blue tarp. Brown, a progressive Democrat, probably took her cues from the same left-wing special interest groups which orchestrated media attacks on the ranchers. Her portrayal of the sentiments of Harney County residents was blatantly dishonest. 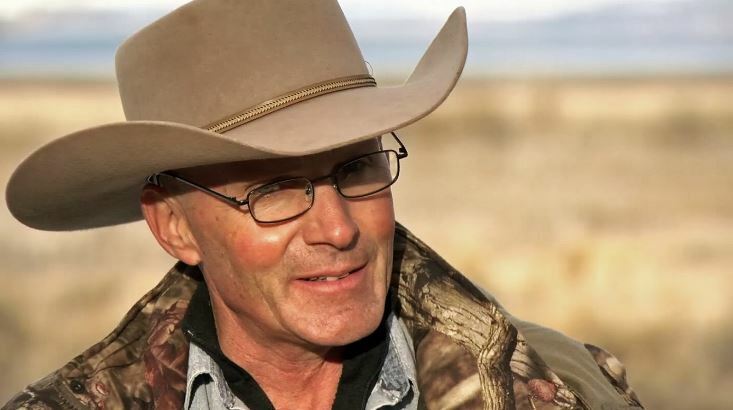 In fact, LaVoy Finicum and several friends were part of a convoy of ranchers on its way to a town hall meeting with locals in John Day, Harney County, Oregon when his truck was forced off the road and he was killed by FBI agents and Oregon State Patrol officers. Just days after Brown issued her letter, agents from the FBI took over the operation and set out to end the ‘occupation,’ doing so with deadly results. Although media reports immediately claimed that LaVoy was reaching for his gun and posed a mortal threat to the officers surrounding him, video and audio evidence has made it clear that he exited the truck with his hands in the air, and was shot–likely with a rubber bullet–prior to reaching towards his side. After Oregon State Troopers killed him with several bullets, one to his face, government agents continued to fire on the passengers in his truck, who sat terrified until the shooting stopped. The question still lingers of whether or not Governor Brown’s letter to Obama’s DOJ incited the lethal overreaction by the FBI and Oregon State Patrol which ended in the death of LaVoy Finicum and the arrest of most of the protesters, including Ammon and Ryan Bundy. Although no progress was made under the Obama Administration into investigating this deadly attack on an innocent man, the family and friends of the Finicum, Bundy, and Hammond families, have determined to continue to appeal to the Trump Administration, and the likely new Attorney General, Jeff Sessions. Earlier this week, LaVoy Finicum’s widow, Jeanette, filed a lawsuit in federal court citing Civil Rights violations in his killing. Although the life of LaVoy Finicum ended a year ago, it appears that, with a new administration in D.C., which was put into office largely by America’s rural voters, investigations into government attacks on LaVoy, and other law-abiding folks in the West, are only beginning.